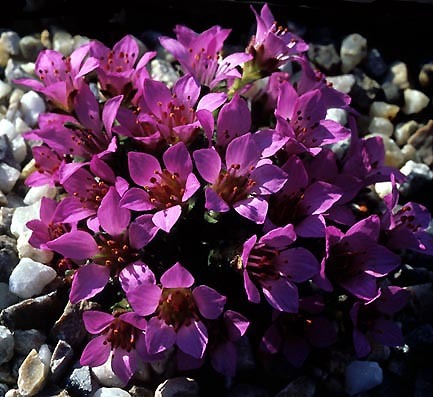 Saxifraga oppositifolia cv. "Theoden" – an extraordinary compact cultivar. Not easy to please in my garden, best in a pot.